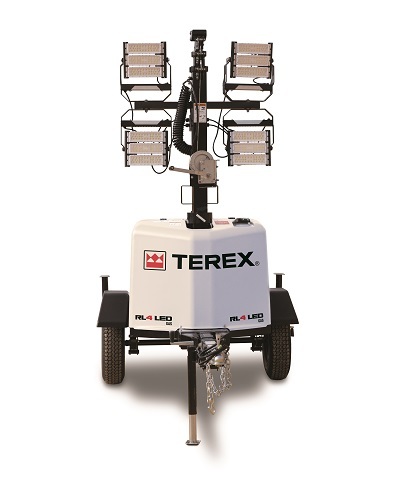 The new Terex RL 4 LED gas-powered light tower is a fully featured, towable, self-powered model that boasts clean, quiet operation and precision lighting performance that rivals diesel, metal halide units. It is ideally suited for use in short-term rental situations, such as special event venues, airports, municipalities and emergency-scene applications. To meet customers’ fleet needs, Terex RL4 LED light tower is available in either Terex white or Genie blue branding. LED lights boast 50,000 hours of service life. Also, LED lights are engineered with instant-on/off capability, which means that the lights come on at 100% brightness almost instantly. These LED lights can be turned off quickly and cool immediately. Available globally in Q2, the Genie Lift Guard Platform Mesh family of accessories is designed to prevent dropped objects falling from aerial worksites. With three options to choose from — half-height aluminum, full-height aluminum and removable woven screen, these contemporary mesh accessories engineered to help operators keep jobsite materials and tools from falling out of boom platforms working at height. Responding to North American rental companies’ need to better manage mixed fleets in order to maximize their business’s rROIC, the new Genie Certified Pre-Owned Program extends opportunities with the machines already in service. Genie Certified Used Equipment, for sale on the Genie used equipment website, is now available with a limited 24-month manufacturer’s warranty. Genie Certified Reconditioned Equipment comes with a limited 36-month warranty on all components reconditioned by Genie, a 36-month/3,000-hr powertrain warranty on DEUTZ Xchange remanufactured engines and a 1-year powertrain warranty on all other engine brands. Click here for more Genie news.